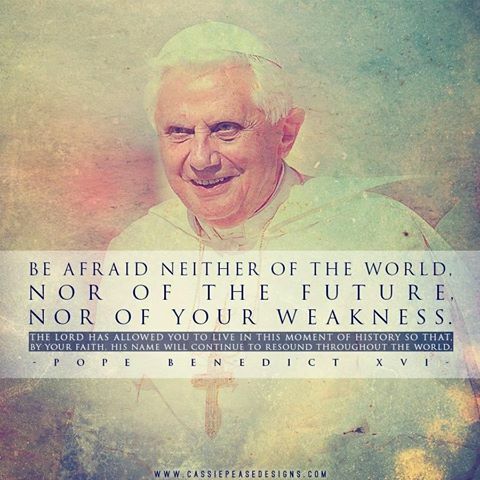 Catholic News World : #Quote to SHARE by #PopeBenedict XVI "Be afraid neither of the world, nor of the future, nor of your weakness. The Lord has allowed you to live in this moment..."
#Quote to SHARE by #PopeBenedict XVI "Be afraid neither of the world, nor of the future, nor of your weakness. The Lord has allowed you to live in this moment..."